Review legal description and mapping of property lines. If none exists or incomplete, may require services of licensed surveyor. Review existing well reports including agriculture suitability report and bacteriological test. For accurate assessment of production, well should be tested in late summer. If none exists, will require test by reputable well company. 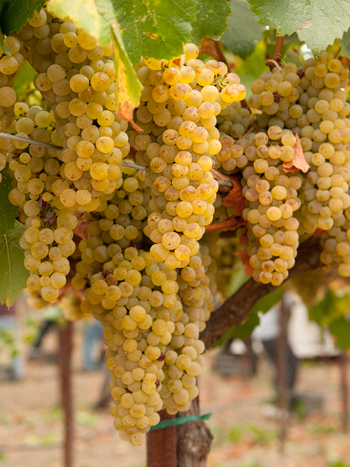 Review existing grape contracts and pricing mechanism. If none exists, REVM will review and evaluate the marketability of the vineyard. Review legal description and mapping of property lines. If incomplete, may require services of licensed surveyor. Utilize orth-topographical maps to digitize plantable acreage. If no orth-topographical maps exist, they should be prepared by a licensed surveyor so that the plantable land can be calculated through digitizing. In addition to helping the buyer better understand the appraisal value of the property, the map is required for VESCO compliance as well as for drainage design, etc. Monitor weather patterns. Maximum and minimum temperatures should be monitored to determine frost protection needs. Calculate degree days (number of days within specific temperature ranges) to determine which varietals are appropriate to the site. Review property lines with Sonoma County Agricultural Commissioner liaison to verify plantability according to WESCO (Vineyard Erosion Sediment Control Ordinance). Review property with Department of Fish & Game, Department of Forestry, Regional Water Quality Control, Resource Conservation District and when appropriate the Army Corps of Engineers. Submit pertinent applications of the above departments. Perform a full soil suitability analysis on desired plantable acreage. Backhoe pits will be dug and samples taken by reputable soil expert in order to produce a detailed report outlining the physical description and soil chemistry for each pit. If well exists, perform well tests including agriculture suitability and bacteriological test. For accurate assessment of production, well should be tested in the late summer and should be performed by a reputable well company. If new water development needed, consult licensed geologist to study future water development.